ISLAMABAD: While attention was focused on Prime Minister Nawaz Sharif’s activities in London on Friday, Ishaq Dar spearheaded his party’s efforts in Islamabad to prepare the ground for a judicial commission to investigate the Panama leaks. 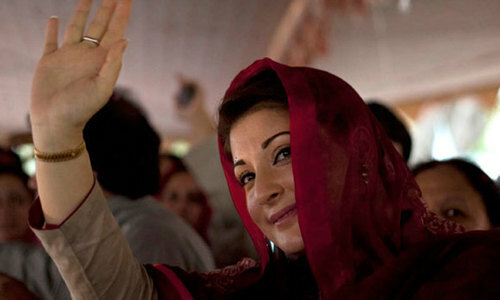 The PML-N persisted in its efforts to reach out to political players and contact retired judges to head the commission. Mushahidullah Khan, a PML-N senator, confirmed that he and Information Minister Pervaiz Rashid had met ally Mahmoud Achakzai, chief of the Pakhtunkhwa Milli Awami Party (PkMAP), for consultations on the matter. According to him, Mr Achakzai was on the same page as the government. Television channels reported in the evening that Sarmad Jalal Osmany, a retired judge, had accepted the responsibility of heading a commission that would investigate the scandal. However, no one from the government was willing to confirm this on record. 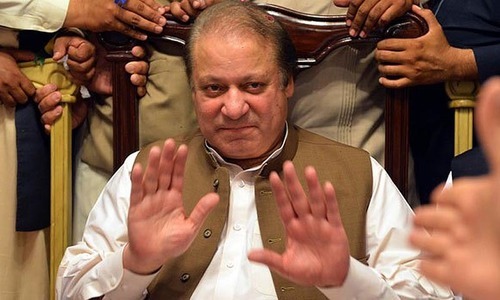 One PML-N legislator, who was present in the meeting held at the Prime Minister Office on Thursday, said that Osmany’s name was on the list prepared by the government; the list consists of retired judges who could, and have been, approached to head the proposed commission. In addition, Dawn has learnt that the government’s legal experts will be meeting Finance Minister Ishaq Dar on Saturday to discuss the issue. Dar is expected to meet Law Minister Zahid Hamid, Information Technology Minister Anusha Rehman, Special Assistant to the Prime Minister on Law Barrister Zafarullah Khan and others. A government delegation, including Zafarullah Khan and Attorney General Aushtar Ausaf, is expected to meet the President of the Supreme Court Bar Association, Ali Zafar, to discuss the issue. “Yes, the government team is coming to discuss the situation arising out of the Panama Paper leaks. I will also be meeting the vice chairman of PTI, Shah Mehmood Qureshi, who too wants to talk about the matter,” Mr Zafar told Dawn. The government’s decision to enlist Zafarullah Khan might have been prompted by a snub it got from the SCBA when its executive committee opposed the formation of a commission consisting of sitting or retired judges. The committee felt that such commissions had invariably turned out to be ineffective, warning that the current one would not be different. “This was also not a case for the exercise of suo motu jurisdiction as courts are not an investigating agency,” Zafar emphasised. OTHER HURDLES: But opposition from the legal community is not the only element that is turning out to be a hurdle for the government. First and foremost, the final decision in this matter will have to be taken by the prime minister. Second, the opposition is not ready to accept a commission headed by a retired judge. 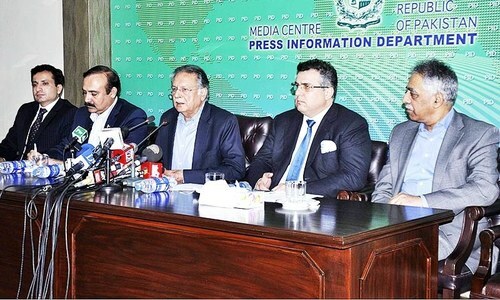 PTI Information Secretary Naeemul Haq said that although he had great respect for Justice Osmany, the PTI would not accept anything other than a commission headed by the Chief Justice of Pakistan. It is noteworthy that the chief justice has obliquely expressed his unwillingness to become part of the commission during a hearing. Without mentioning the issue, he observed that the responsibility to conduct investigations rests with the executive, and not the judiciary. The PPP, too, appears to be in no mood to accept a retired judge. “A retired judge will be influenced by the government,” commented Naveed Qamar, a senior PPP leader. He added that his party wanted a serving judge to head the commission. Other party leaders have insisted on a joint parliamentary committee to investigate the matter. However, the Dar-led government team is keeping all options open by reaching out to retired judges in an attempt to persuade them to head the commission. In fact, Dawn has learnt that some members of the ruling party have advised the government to simply announce the formation of a commission, headed by a retired judge. You will see that the whole govt machinery is busy saving Sharif family now...They don't care what else is happening in the country. Please look into international Banking investigation company. This affair has to come clean. Do not doge the Issue , This affair can grow very big. How much time will given to complete the probe? Nawaz cannot hold the office during the probe time. People of Pakistan are at the end of the rope. No more corruption,Period. This drama of 'preparation' and 'contacting retired judges' will continue for several weeks and months, to delay and to tire the public, until they give up, and their attention is diverted to something more urgent and current. Move on Pakistan. This party will never accede to public outcry, and is actively looking for ways to cover up. They will complete their term, and prepare for next election. Unless IK can muster enough support, I expect PML-N and PPP be returned back to power! Mashallah! Only in Pakistan can the status quo continue. The whole affair stinks. I am so glad I left the country decades ago. Nothing happens in Pakistan with any predictability and regularly - except for Fashion Shows and corruption. Nixen got impeached for a micro scandal compared to our PM's mega corruption scam and we can't find a desk that can probe the mess he is in. Is there any one out there whom we could say thank you to? This is truth and facts that Pakistan's P M and his family owns property and companies worth millions of pounds. This is not a crime to own a property. But to verify source of money used for buying this property. This money must have been transferred through commercial banks. As family has no business in UK,This money could be gift from Saudi Arabia. There must be some Bank transfers, just to find out that money was legal and tax was paid. You do not need a judicial commission to investigate. There is nothing to investigate. The monies were stolen from the Republic. Why are we wasting time. Every one on the streets of Pakistan knows how to retrieve the money. Do we have will as a nation to do it. For God sake London should be left for Londoners. Islamabad is our capital and the fat cats of Pakistan should stay there and conduct the state business in Islamabad. By the way who is paying for Londin hotels and air travel. Judicial Commission is being formed by PML(N) to investigate their own Prime Minister and his family members. What a decision. Commission of a " retired " judge to find what ? Panama Leaks are documentary proof of Nawaz Sharif' s and his family billions of $$$$$ in off shore companies. Nawaz Sharif must resign first and then prove that he is clean to hold office. if they do then why the time waste at media for PM defense on that issue. PML N most corrupt along with PPP. We need Imran Khan to run our country. Any commission, no matter how powerful, will be useless as history of commissions in Pakistan suggests. I don't understand need for a commission. Sharifs should make record of their financial dealings & transactions public like David Cameron & answer questions about the money trail. History tells us that Commissions are a complete waste of time in Pakistan. A corrupt ruler is going to dictate the commission what to do and this is what Nawaz and Family going to do. Judicial inquary will not solve the problem because it is more serious and must be investigated by sme foriegm firm who specialise in such frauds. It should be paid and conducted by the state. Pakistani awam have already lost and they do not even know or realize how great their loss is. Rulers have made sure of that. It is shame that not so truthful rule and play their dirty games in the name of governance. Poor awam die hungry and sick by drinking and breathing dirty and polluted water and air. But if and when something questionable surfaces, their ready way out is London yatra till the dirt settles. How long this saga will continue? It is up to awam. They can put an end to it right now; commission or not. And they must for the sake of this beautiful country where they are destined to live as awam. Do not blame these politicians. The people of Pakistan voted them in. If Pakistan were a true democracy- the PM would have resigned by now pending an investigation. Instead, the entire PML-N is busy defending the "King's" family. Democracy is dead! Long Live the King!! Govt. of Pakistan limited.-------- Established London,Dubai,Islamabad. We don;t want a fake probe drama. Pass on this case to international community. This should be probed by both UN and Scotland Yard. A great saying by Bob Marley "You can fool some people sometime, but you can't fool all the people all the time. @Faisal Bajwa you are right about Nixon being impeached for something far less significant, with one Big difference, he was not the Chief Executive of Pakistan! Has any Commission ever succeeded to get to the bottom of things? How would a judicial commission question laws of an offshore country, which basically operates for the very reason not to compromise your accounts. People will forget in few months and Nawaz or Zardari will be in power again. Pakistan zindabaad.